On June 3, 2018, we experienced significant loss when our ceilings collapsed in our office spaces and lab area. We ask for your patience and understanding during this time when trying to coordinate analysis and/or inspections. We are trying our very best to work out of a temporary location and appreciate your continued business. Our office telephone is not operational at this time. Please contact Lynn Bundoc directly if we can assist you with any of our Services. On-call Analyst / Building Inspection - Mobile (904) 200-2247 Text OK! Thank You! ACM Labs is a small independent asbestos laboratory located in the Arlington area of Jacksonville, Florida. We concentrate on the identification of bulk Asbestos Containing Material (ACM) via Polarized Light Microscopy (PLM) and are certified in NIOSH 582 for the Sampling and Evaluation of Airborne Asbestos Dust. 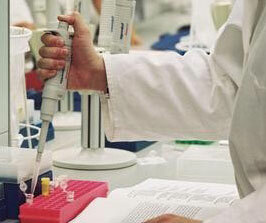 Air samples are analyzed utilizing Phase Contract Microscopy (PCM) in general accordance with the NIOSH 7400 Method. Our goal is to ensure that your experience with us is flawless. Chain of Custody and all paperwork are filled out properly, samples are read according to protocol and you receive your samples on time if not earlier. We are on call 24/7 for emergency analytical asbestos needs. Bulk samples are analyzed by Polarized Light Microscopy coupled with dispersion staining in general accordance with EPA 600/M4-82-020 and EPA 600/R-93/116 (July 1993). We can also manage other environmental samples you may have that require analysis by forwarding them to accredited laboratories and track them so that you can concentrate on managing the other aspects of your project. We do “as-best-os” we can! ... Everyday!